Un guide aussi original que spectaculaire pour tirer, enfin, le meilleur de nos vies professionnelle et personnelle ! 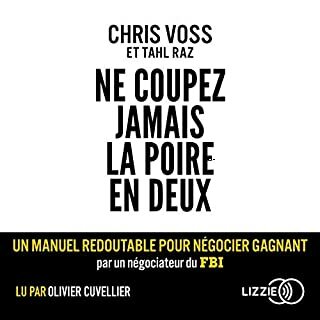 Même si, contrairement à Chris Voss, célèbre négociateur pour le FBI, nous sommes rarement amenés à tenir tête à un forcené reclus dans une banque, notre vie quotidienne s'apparente à une succession de négociations dont nous ne sortons pas toujours vainqueurs : cette promotion dont on rêve, sans cesse repoussée ; ce prêt bancaire qu'on hésite à demander ; les exigences d'un enfant auxquelles on finit par céder... Et si on cessait de toujours couper la poire en deux ? You can go after the job you want...and get it! You can take the job you have...and improve it! You can take any situation you're in...and make it work for you! 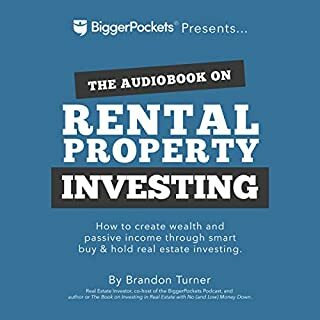 The Book on Rental Property Investing, written by real estate investor and co-host of the BiggerPockets Podcast Brandon Turner, contains in-depth advice and strategies for building wealth through rental properties. You'll learn how to build an achievable plan, find incredible deals, pay for your rentals, and much, much more! 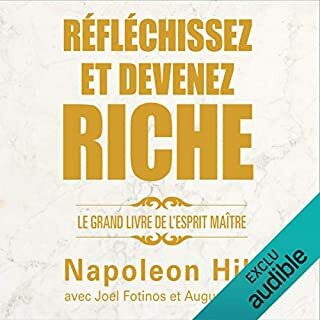 L'ouvrage "Réfléchissez et devenez riche" de Napoleon Hill est devenu la bible de la prospérité et du succès pour des millions de lecteurs depuis sa publication initiale en 1937. Les 13 "étapes vers la richesse" que Hill met en lumière sont devenues un tremplin vers une meilleure vie pour des gens de tous les horizons : des gens d'affaires aux étudiants, en passant par tous ceux qui veulent atteindre leur but dans la vie et vivre leurs passions. Keller Williams' The Millionaire Real Estate Investor is your handbook to the tried and true financial wealth-building vehicle that rewards patience and perseverance and is available to all: real estate. You'll learn: Myths about money and investing that hold people back and how to develop the mindset of a millionaire investor; how to develop sound criteria for identifying great real estate investment opportunities; how to zero in on the key terms of any transaction and achieve the best possible deals; how to develop the "dream team" that will help you build your millionaire investment business. Proven models and strategies millionaire investors use to track their net worth, understand their finances, build their network, lead-generate for properties, and acquire them. The Millionaire Real Estate Investor is about you and your money. It's about your financial potential. It's about discovering the millionaire investor in you. This book is 50% motivation, 20% life examples, and 30% quality information. The real advantage comes from the PDF attachments and "bonus CD" if you down load the audio version, log on through you desktop to download the files (it's the only way). Once you do this the book becomes very valuable. If you don't review the bonus items it's honestly a waste of time. A quick easy read/listen and very helpful with the bonus items. 19 sur 19 personne(s) ont trouvé cet avis utile. 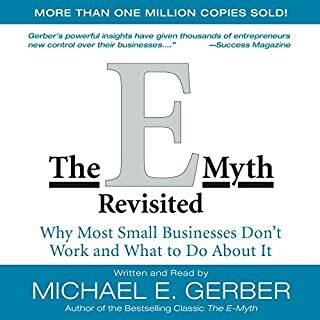 I have listened to this book now twice and it seems to give some solid information and worksheets. A seasoned real estate investor might find it a bit elementary, but it reinforces some other great concepts that I have taken away from other books and authors... Like Dave Ramsey. One of the quotes I like relates to how complicated real estate investing can be, or doesn't need to be. A loose quote is "Look. Your car is complicated if you break it down to that degree. But you need only turn the key to start using it. Drivers won't need to know how to break open the transmission as a prerequisite to owning a car." I think it was great. 22 sur 23 personne(s) ont trouvé cet avis utile. Cutting to the chase. Too many stories about people that have made millions in real estate. I don't need a "you can do it!" type book. What was most disappointing about the authors’s story? Too repetitive and too much information about things the listener doesn't need to know. Would you be willing to try another one of Cliff Haby’s performances? Not based on this book. If you could play editor, what scene or scenes would you have cut from The Millionaire Real Estate Investor? The first 2 hours, and all motivational material. That's not the type of book I though I was buying. The Derek Jeter type of references, like "keeping your eye on the ball" is so cliche. Sorry, but there are better options out there. 15 sur 16 personne(s) ont trouvé cet avis utile. Hands downn the best book on real estate investing that I have read. Doesn't matter what the market conditions are, if you follow the processes outlined in this book you are sure to have success. I am currently investing in real estate and this book has brought my game to the next level. I have been glued to this audio and the paperback book version since I have purchased it. 24 sur 27 personne(s) ont trouvé cet avis utile. I've been reading a lot of real estate books and this one is very good it has a smooth layout, and gives good guidelines. There's only so much detail you can get from a book after a while though. To learn anymore you would have to start taking advanced classes or even better yet . . . actually buying a property!! 11 sur 12 personne(s) ont trouvé cet avis utile. This book would be much more effective if it was a LOT shorter. The entire Part 1 just tells you why you should strive to be a "millionaire real estate investor". The second part does have some useful information including some very help worksheets on the bonus CD. It's biggest negative is its repetition. 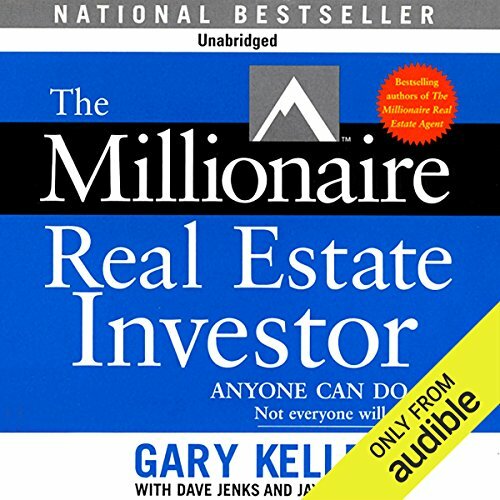 If you made a drinking game out of this book and took a shot everytime the narrator says "millionaire real estate investor" you would be drunk after 15 minutes! On the other hand, that might be the only way to tolerate the book. My overall assessment is that the content on Part 2 is decent, but it's very repetive and should have been compressed to having only one part. 33 sur 38 personne(s) ont trouvé cet avis utile. 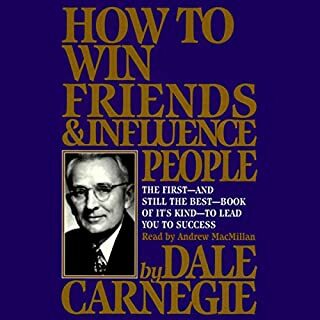 This book has some good phrases and ideas that are helpful...the niche makes you rich was probably the one that I glommed onto the most. It could have been shorter, was a bit repetitive and is probably more for the beginner. Narrator is easy to listen to and nice to have female voice as a break from the main narrator. 16 sur 19 personne(s) ont trouvé cet avis utile. This book is good for those who want fluff and encouragement, but not that many actual strategies. The book gives general idea of how to become successful, but lacks core education beyond the extreme basics. For the beginner and master alike. This book will offer an excellent introduction as well as dispel many of the myths associated with real estate. This book also offers an excellent introduction to personal finance for the novice real estate investor. I have listened to all the books on real estate currently offered by Audible. This book is by far the best. I have listened to it five times all the way through. The steps it outlines are conservative, field tested, and relevant. It makes the highly complicated process seem easy. 14 sur 18 personne(s) ont trouvé cet avis utile. Lots of words, but little put-it-to-use information. Takes forever to get into anything practical. This entire production could be shortened by at least 50% and you'd not lose a thing. Narrator has a good voice, however. 13 sur 18 personne(s) ont trouvé cet avis utile. 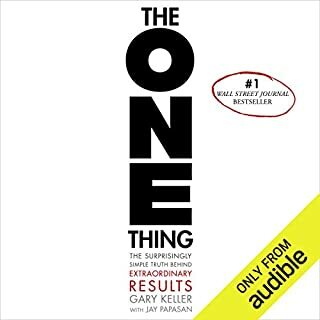 You have to hear this Book!! MY FIRST real estate investment book and I am amazed from the author Gary Keller! I recommend!!!! 1 sur 5 personne(s) ont trouvé cet avis utile.